i am new on upwork and want to work on Data Entry. 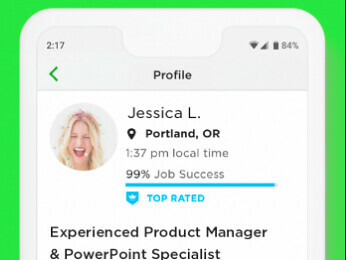 i have completed my profile 100% but when i submit my profile a message appears that upwork will review your profile. and after few hours i get a message that our marketplace does not have opportunities for this profile kindly update your skills. i tried more then 20 times by updating my skills, overview etc but same issue. Kindly please help me to resolve this issue. I got confused with your title -- the one in your profile overview page. The words "data entry", "email" and "typist" do not seem to be in a parallel relationship with each other. Are you saying that you are a Data Entry Specialist/Email Marketing Enthusiast/Typist? Usually, new contractors are encouraged to focus on a single specialization only. So what should i write in title? The first line in your overview is what is seen when your profile comes up in search results. Do not waste it on an unrelated quote. Capture your key qualifications, for example. 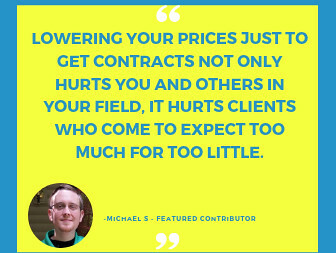 Have you researched your competition, what do they offer, at what price? Then take a few tests to show your expertise. As a client, I would like to see that the freelancer has taken a number of tests, firstly to show his skills, and secondly because they really do take some effort, and you want to demonstrate that too. Consider this your first and most important job here, to write a convincing overview. You will then need to write great proposals, and then deliver great work! I have again submitted my profile for review but again same message. I have client who agreed to work with me via Upwork.And those clients want to send me job invitation but can't able because of the non approval of my account. Also my profile has been in review for over 48 hrs. Would you be able to tell me when I will be able to receive the approval? I am a freelancer specialized in Data Science & Business Intelligence, mobile development, and design. The skills I have that distinguishes me from others are professional and user-friendly UX/UI design based on qualitative/quantitative research and human computer interaction. Thus, my capability is different from simple Data Science & Business Intelligence and also very practical. I hope I will be able to share my expertise on Data Science & Business Intelligence for both the client and myself's successful business through upwork. Hi there! 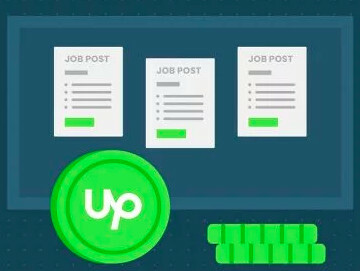 Actually, if your client's want to work with you via Upwork they have the option to invite you even if your account is not approved yet. You may check the link below for further details. Good luck!